What do you think of this Magnetic Spot Scrubber? 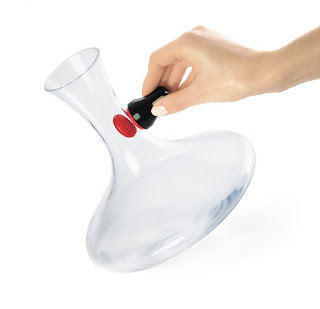 Wine decanters, pitchers, bud vases and baby bottles, consumers encounter a variety of narrowed necked vessels that are nearly impossible to clean with a typical sponge or scrub brush. Recognizing the need for consumers to better clean those hard to reach places, Cuisipro introduces a completely new innovation: Magnetic Spot Scrubbers.